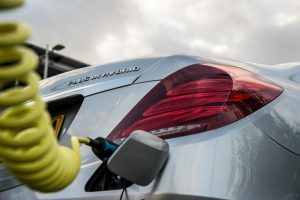 Drivers in Birmingham are four times more likely to drive a plug-in hybrid or vehicle than those in London, according to the latest Department for Transport figures. At the end of Q4 2016, there were 84,844 plug-ins licensed in the UK – a 72.0% year-on-year increase and 0.22% of the 38.4 million total vehicles on the roads. The majority (80,567 vehicles) are eligible for the Plug-in Car Grant or Plug-in Van Grant (2,853 vehicles). At 8,258 vehicles, Birmingham has more licensed plug-ins than the entire London region, which has 7,974. One in every 93 vehicles in Birmingham (1.08%) is a plug-in vehicle, compared to one in 385 vehicles in London (0.26%). Peterborough has the largest share of licensed plug-ins of any area the UK, at 2.6% (6,130 vehicles) followed by Slough and West Berkshire at 1.3% each. Plug-in vehicle volumes are also weighted towards the London area, with 38,355 (45.2% of the UK’s total) licensed in London, the South East and the East of England.